This review was originally published on Dec 10, 2011. I am still crazy in love with my Vitamix and highly recommend it – so I wanted to run this review again. I’ve had it since 2011 – and never had an issue with it. Little did I know, as she educated me, Vitamix is the best blender ever. She ranted and raved to me about it in text messages, sending me photos and what not. Since I enjoy making smoothies, I thought I would request a product sample for review. 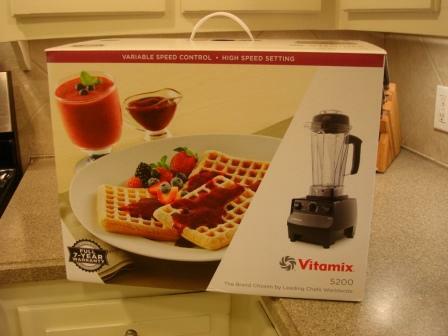 After many requests, Vitamix was kind enough to oblige and send me a Vitamix 5200 Standard (use Vitamix Promotion Code “06-007152” to GET FREE STANDARD SHIPPING ($25US/$35CN)) to product review. I am so thankful they did. …or should I say, I love Superman. That’s what I call it. It is Superman. I first made my traditional chocolate protein smoothie in the mornings, and it performed beautifully. 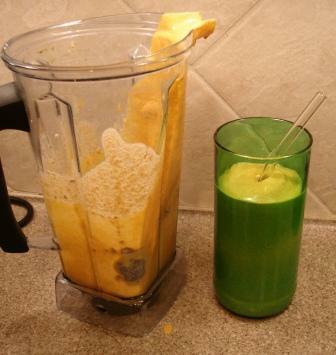 Then I made a delicious Pumpkin Smoothie…and the Vitamix, as usual delivered…delicious smooooooothness. I wanted to try it to make a recipe I had seen over at the blog, Peas and Thank You. Here’s a link to Mama Pea’s Green Smoothie Recipe. I love that it has a tamper, so that you can push the vegetables down into the blades without having to do it with a spatula and turn the machine on and off while doing it. In fact, with other blenders, I have been lazy and not turned off the blender and then end up blending the spatula! So it is awesome that the Vitamix comes with a tamper that fits just perfectly for that machine, so that you don’t blend another spoon or spatula! Here’s a video I shot during the opening process. 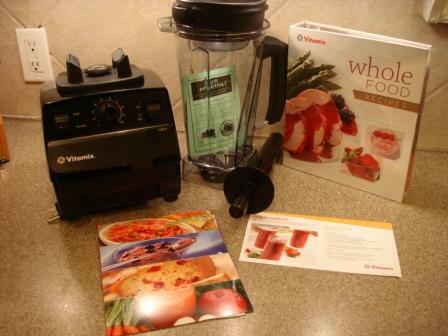 Buy the Vitamix 5200 Online use Vitamix Promotion Code “06-007152” to GET FREE STANDARD SHIPPING ($25US/$35CN). 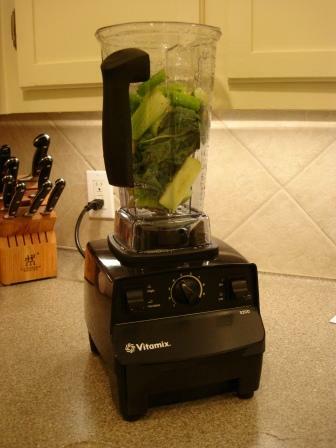 Check out Vitamix for yourself and see what other Vitamix owners are saying over at Vitamix’s Facebook page.